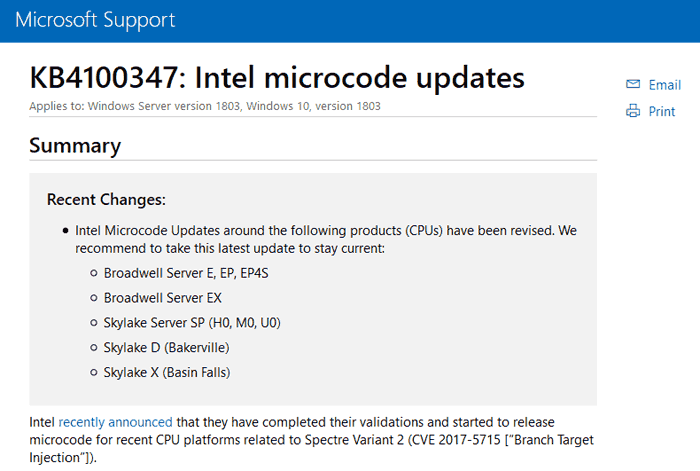 Users of Intel Broadwell-E systems have taken to various forums and social media outlets to vent their displeasure about a new Spectre Variant 2 from Intel/Microsoft. 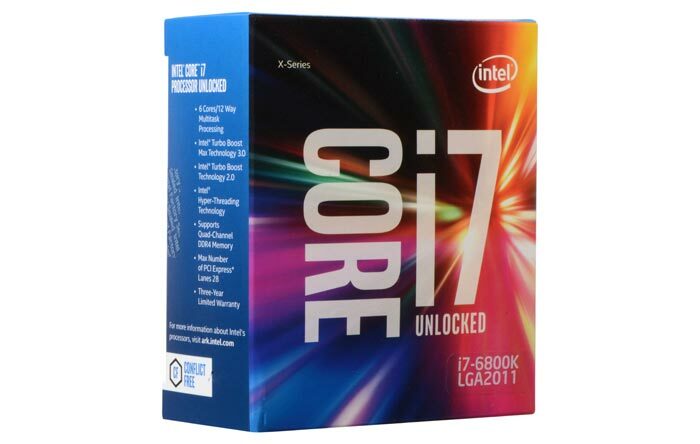 The cause of their ire is that the patch, dubbed the Windows 10 KB4100347 update, disables any UEFI Bios overclocking settings and leaves the user's CPU humming along at default clocks. There is no way to get around this security update, except to uninstall it, in which case UEFI Bios overclocking options will work again. Over the weekend Windows Latest noted that users were discussing this security patch issue and various fixes on Reddit, on the Asus ROG forums, and on Microsoft's own forums. Redditor Kodiack observed that "This is the second time that a microcode update has broken overclocking on this platform. The first time around it was caused by a BIOS update from ASUS, which was later resolved a few months later with a subsequent 'beta' BIOS". After contributions from other Redditors it was highlighted that simply uninstalling KB4346084 resolved the issue. Motherboards from multiple manufacturers are affected. The KB4100347 is auto-installed by Windows 10 when Microsoft reckons the system is ready and the patch is applicable to your system. It isn't recommended to force the update. If you find you are affected by the overclocking disabling bug and can't live with it for now, then you can choose to remove KB4100347 while you wait for a better solution by navigating to Settings > Windows Update > Check for updates > View update history - before right click selecting KB4100347 and choosing the uninstall option. I have the same problem on my MSI X99S SLI Krait Edition and an Intel Core i7 6900K running just 3.7GHz instead of my overclock of 4.2GHz. It allowed me to find the KB4100347 on the win update list and block it from being downloaded and installed. It works without issues. The update doesn't appear anymore when I run windows update and the pc runs at 4.2GHz again. My wifes PC running with MSI X99S Gaming 7 and a Core i7 5960X@4.1GHz isn't affected by this update. I also was affected by this bug, Asus Rampage V Edition 10 and 6950X OC to 4.4 Ghz, when update is installed working at 3.5 ghz instead of 4.4 ghz. I unistalled this update and blocked it using https://support.microsoft.com/en-us/help/3183922/how-to-temporarily-prevent-a-windows-update-from-reinstalling-in-windo 2 weeks ago. A classic example of why auto-installing updates, when MS want to, is a non-starter for me. But at least this one simply hit performance …. sometimes. What's utterly unacceptable is MS deciding I need an update, with the result being something I need, right now, not working until I've spent hours trying to work out how to un-bork my machines …. while, either a deadline looms or an editor/client is screaming at me. No thanks, MS. Before I do any updates, I clone the drive(s) and do a dry-run on the copy. Only if everything works fine do I update a live system. And I need to do updates whrn it suits me, in a known quiet time, not when you or your systems decide my PC is “ready”. Though it's not the only reason, that alone kills W10 for me.